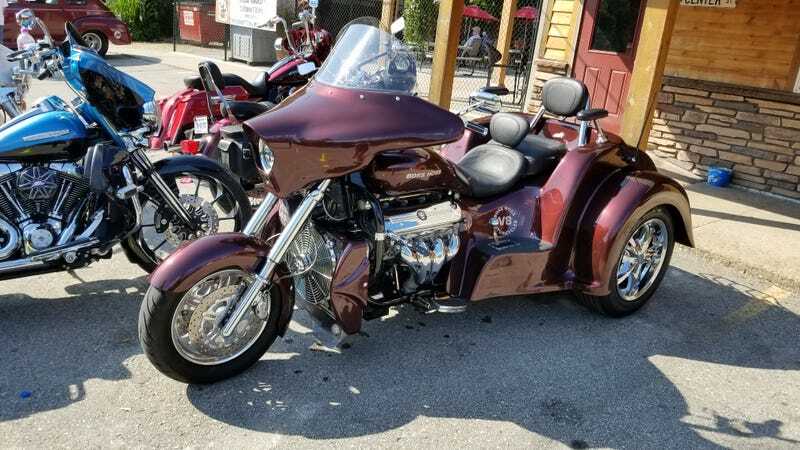 I am usually uninterested in motorcycles but this is not your everyday motorcycle. I am pretty sure this is an LS engine. Would make sense because of the weight savings. I have taken photos of this truck before but I just love it! Really upset I didn’t stick around. I know a probably kit car Shelby Cobra was there and a sweet sounding straight 6 International truck was there too. They drove by my house.